If you live in an apartment block, or another type of residential complex, you might find you’re unable to switch energy providers. Why? Because you’re part of an ‘embedded electricity network’. So what is it, how does it work, and what can you do about it? We’ll explain. An embedded network is effectively a contract between the building owners and an energy retailer for the latter to supply power to all of the properties in that development. Sadly, if you’re leasing the apartment, there is often little flexibility or room to move when trying to choose energy suppliers. An embedded network can be established wherever electricity infrastructure is privately owned and managed, such as commercial or industries properties, or shopping centres. Embedded networks are also common in high-rise or large residential developments. If you live in an apartment, then chances are this could be you. Think of it like a beehive – your apartment is just one of the hexagons in the electrical honeycomb, and the queen bee decides who the supplier is. 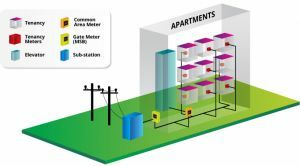 How do embedded electricity networks work? 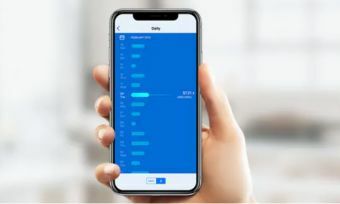 According to WINenergy, which operates sites across Victoria, New South Wales and Queensland, embedded networks are “established to physically aggregate the energy consumed within a complex to a single metered point”. Sub-meters then measure each tenant’s individual energy usage and they will be billed accordingly. Another embedded network supplier, OCenergy, says “rather than each occupant negotiate their own contract with various electricity retailers, they combine their purchasing power to obtain electricity at significant discounts to what they could achieve individually”. There are obviously benefits to embedded electricity networks, though it’s another question about whether those benefits are passed down to you. While there seems to be a lot of incentives of an embedded network for suppliers and building developers, the most important person at the end of the day is you – the consumer. Without you the whole scheme fails, so it’s important that there’s at least something in it for you. Are embedded electricity networks a good idea? For building developers, embedded networks seem like a convenient solution to supplying power to all of the properties within one site. Some residents may also welcome having one less thing to worry about when they move homes. However, not everyone will be happy with this situation, as our research shows. While there are some exceptions, it’s common that households in an embedded network will not be given the option of switching electricity providers, which comes with obviously disadvantages. The energy retailers will promise competitive rates, but individual customers may have their reasons for wanting to choose another supplier. WINenergy states: “We offer customers a discount on the published tariffs of the local default retailer and endeavour to beat the best genuine offer they can get from a retailer.” But the fact remains that some customers will want to shop around for the best deals themselves, particularly in Victoria and New South Wales where competition between the energy providers is fierce and discounts can help reduce electricity costs by hundreds of dollars each year. Energy prices are just one part of the equation. Many energy customers place a great amount of importance on customer service. Additionally, many energy providers offer to purchase green energy solutions on the customer’s behalf. This means that retailers agree with the customer to feed green energy back into the grid. Should the customer sign up to this scheme, they are effectively ‘carbon offsetting’ their environmental footprint. If the embedded network does not offer these green schemes, it may be off-putting for customers who are interested in environmental causes. Additionally, if customers have no option of switching, they feel backed into a wall, and there is less pressure on the retailer to provide great service. Energy deregulation has increased competition drastically in NSW and Victoria, so being part of an embedded network may feel limiting for some customers. Convenient, takes the fuss out of choosing a provider. Some people like that they can choose and leave providers. Decreased freedom. Increased purchasing power means that you may be able to save money. Because you’re ‘locked in’ to a retailer, there may be little incentive for them to be competitive. The embedded provider may have a suite of green initiatives. Or it may have none – which is concerning for some customers. Your embedded contract may work in your favour. The contract could be hard to get out of. Disputes could make your time in the apartment tough. Those who want convenience and like the idea of a network. Those who prefer choice and begrudge the idea of being tied into a network. If you want the choice of switching electricity providers whenever you want, make sure you ask about embedded electricity networks before moving into a residential development.